After a well-earned Summer break, Red Spider are back in action and firing on all cylinders. Not only do we have arrangements in place for a production in December and for another next April, but we have even got plans drawn up for a further very special production in 2020. (More about that shortly.) How about that for forward planning! So, what have we got in store for you? 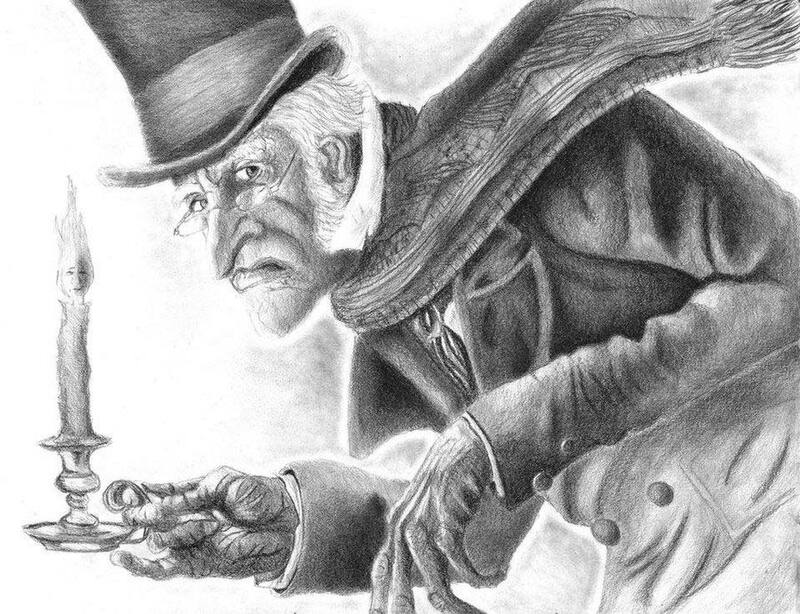 he first part of the plan takes the form of preparing for a one night only production, on Saturday 1stDecember, of Charles Dickens’ famed Christmas story, A Christmas Carol. This will take the form of a rehearsed reading, with all the familiar characters from Dickens’ famed novel, in full Victorian costume,and, of course, plenty of “Bah! Humbug”. If that was not enough, the play will be accompanied by supper, to be served between acts one and two, freshly cooked to order and provided by the Nippy Chippy. As well as fish and chips, choices include sausage and chips and a vegetarian option, all accompanied by a glass of mulled wine or apple juice and homemade mince pies. This is designed to be, as much as anything, a social evening and we are delighted to include among the cast the children who made Fantastic Mr Fox such a special experience earlier in the year, as well as many well-known members of RSC. Directed for us, in his own inimitable fashion, by Charles Dickens (aka Martin Perry). he second part of our plan, takes the form of a production of Dangerous Corner, by J. B. Priestley, directed by Alan Payne, to be held at Lewdown Victory Hall on April 11th to 13th 2019. 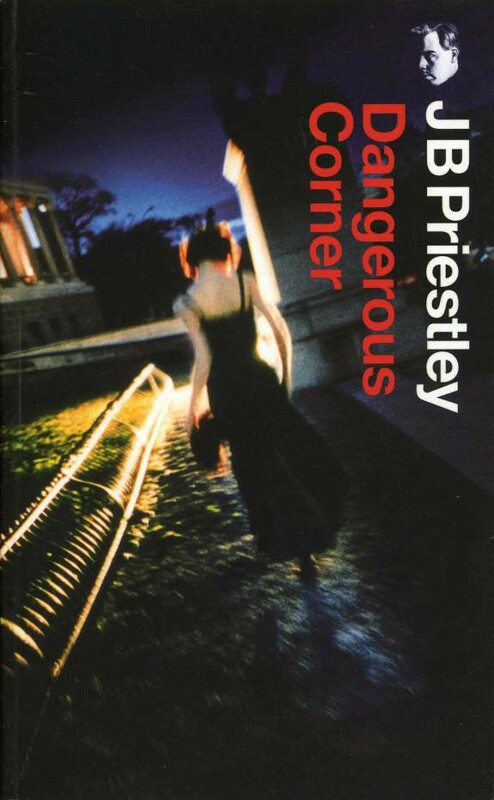 Dangerous Corner is Priestley’s first solo play and the first of his plays in which he exploits the theory that there are other forms of time, or Time, than the purely linear one. The following synopsis can be read in full on the J.B. Priestley Society website: www.jbpriestleysociety.com/dangerous-corner. The play is set in the drawing room of Freda and Robert Caplan’s country house. Present are Freda herself; Olwen Peel, Freda’s contemporary; Betty Whitehouse, a younger woman; and Maud Mockridge, a woman novelist. Dinner is over and the women are listening to the end of a wireless play, in which a gun is fired, a woman screams and there is the sound of a woman sobbing. A voice announces that they have just been listening to The Sleeping Dog by Humphrey Stoat. The women discuss the play and then move on to the suicide of Freda’s brother-in-law, Martin Caplan. At this point their menfolk join them. These are Charles Stanton; Gordon Whitehouse, Betty’s husband; and Robert Caplan. This last-named is the principal of the family publishing firm, Olwen is an executive of the firm and Gordon and Charles are partners. It is a cosy, seemingly relaxed group. The routine conversation continues. Then one of the women notices a musical cigarette box in the room and makes a fatal remark, fatal because it triggers a whole series of shocking revelations about the characters and their relationships with each other and with the dead Martin Caplan. They are shown to have turned a dangerous corner which has led to the truth – the sleeping dog – coming out. The action progresses to a climax, in which, as in the wireless play, a gun is fired, a woman screams, and the sound of sobbing is heard. The action then returns to the beginning of the play itself, complete with the end of the wireless play. The conversational exchanges are substantially as before. The same character as before notices the cigarette box. But this time the fatal remark is not made, the sleeping dog has been left undisturbed. The play ends in a whirl of exuberant jollity. Sunday 9 December 2018. LVH 4.30pm. Full cast, read through. Sunday 20 & 27 January 2019. LVH 5.00-7.30pm. Details to follow. Sunday 3, 10, 17, 24 February 2019. LVH 5.00-7.30pm. Details to follow. Sunday 3, 10, 17, 24, 31 March 2019. LVH 5.00-7.30pm. Details to follow. Sunday 7 April 2019. LVH 5.00-7.30pm. Details to follow. Technical and Dress Rehearsal week beginning Monday 8 April. LVH. There will be weekly evening rehearsals at Trebick Barn on Tuesday evenings. Dates to follow. In addition to our actors, we will need a dedicated and enthusiastic team of people to take on a variety of roles to support the production.If you would like to get involved with this production, or know of someone who you think might be interested, please contact Amanda Greenhalgh amandakgreen@hotmail.co.uk for more information. The final piece of our forward plan will remain under wraps for the time being, but as clues think of Ron Wawman and Sabine Baring-Gould and a staging in Bratton Clovelly Parish Hall.